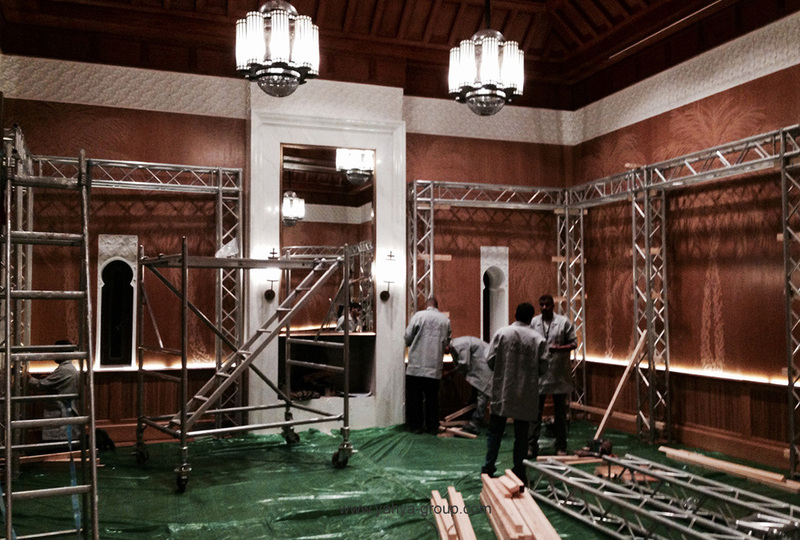 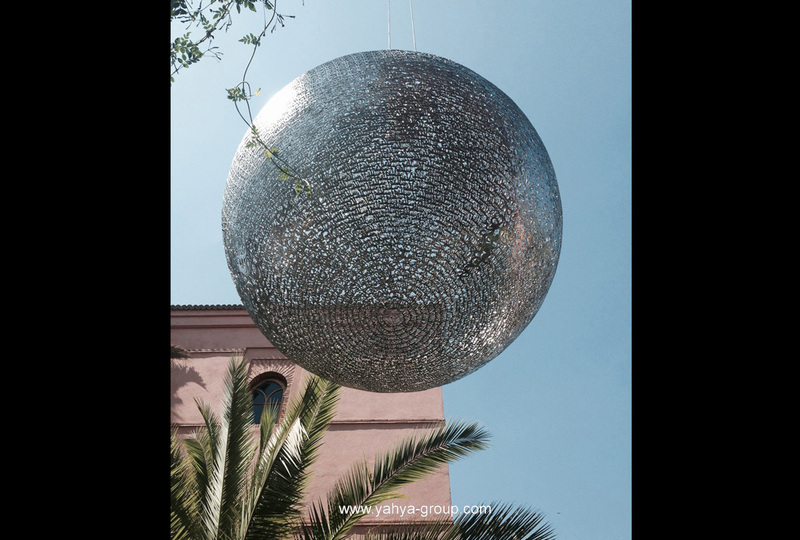 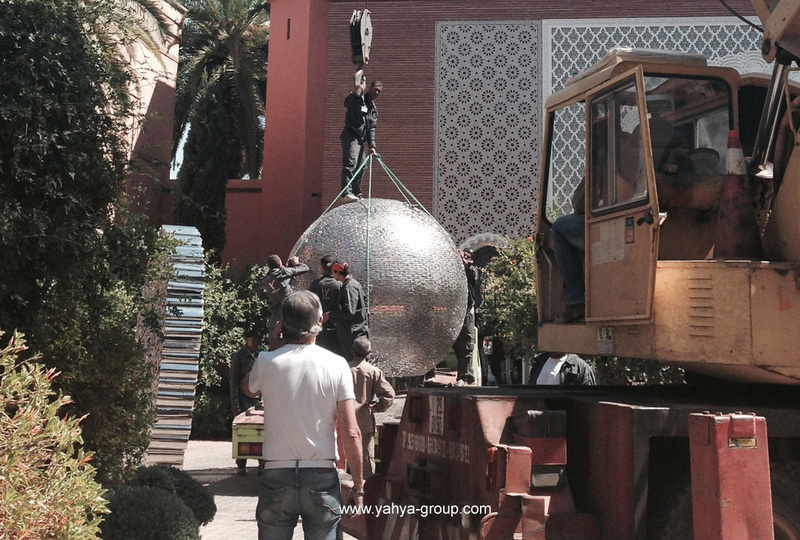 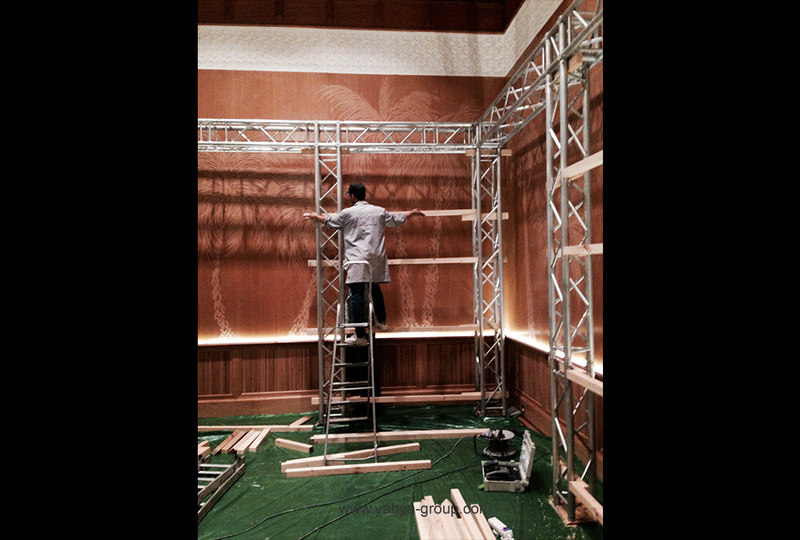 For the exhibition of Invisible Light at the Royal Mansour hotel in Marrakech, Yahya was responsible for the scenography and the presentation of all the artworks, many of which were of museum size and some weighed close to 1 tonne. 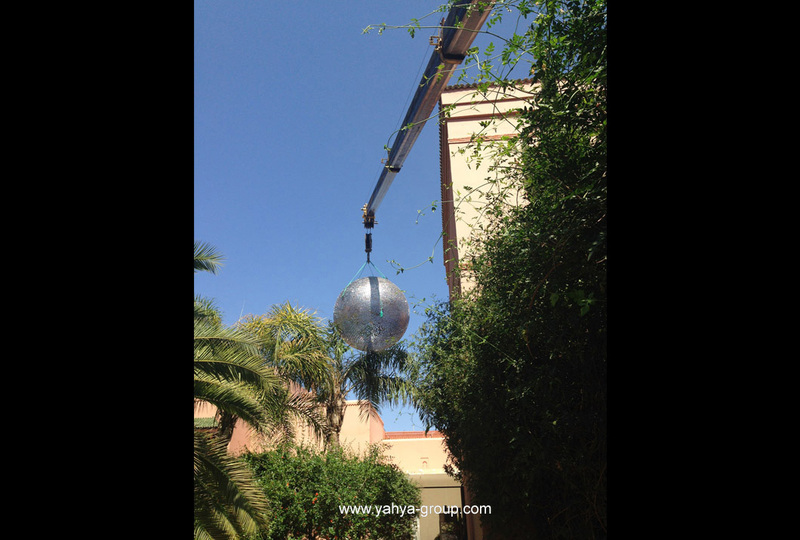 The Yahya group installation teams was bought in to crane lift into place many of the works and guarantee that not the smallest detail of this iconic hotel would be damaged. 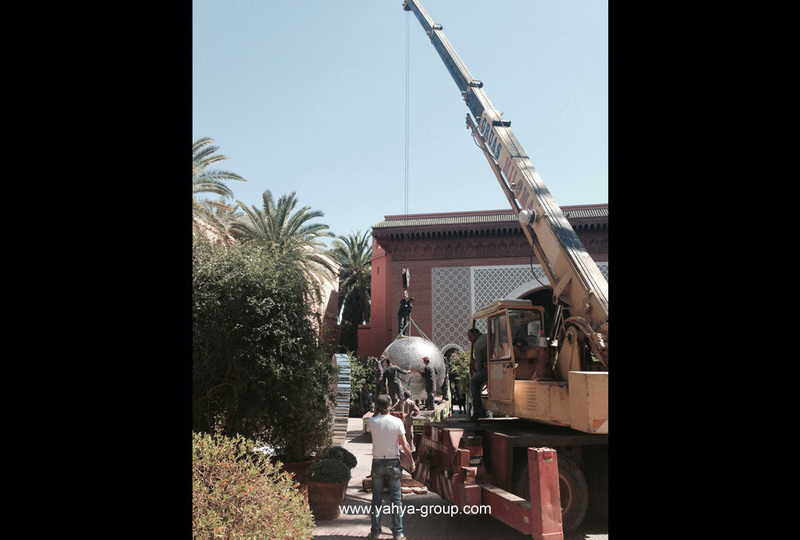 Even during the construction of the hotel, such a large crane had not been used. 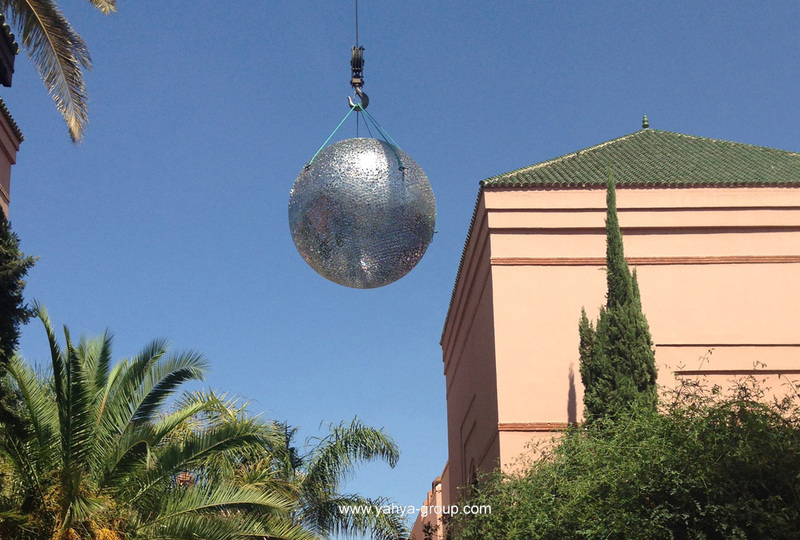 All the directors were present on site to oversee this most delicate and nerve-wrecking operation as the Globe was lifted above the hotel and carefully dropped into place.